Hematite Iron Ore with Fe below 40% and we are supplying this with good quality and quantity. We can supply Hematite Iron Ore Fines in bulk quantity of total Fe 47% to 49%, silica-10% to 12%, we supply hematite iron ore fines from gujarat, kutch, & Laterite of all grades. With the years of experience in this domain, we are capable of providing Hematite Iron Ore. These are available in wide variety of colors like dark grey, bright yellow, deep purple and rusty red. Iron ore is also used as a raw material in the production of pig iron, and subsequently steel. We can provide Iron Ore Sized / CLO of Size 10 mm - 40 mm of Grade Fe 50 % Plus. The quantity can be provided as required at Jabalpur (M.P.) directly from the Mines. 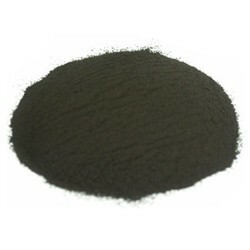 We offer high quality range of Hematite Iron Ore. It is used as a raw material in the production of pig iron, and subsequently steel. It is widely appreciated by the clients and available at industry competitive prices. We offer our range at market leading prices. The hematite ore or red-ochre is called 'oxide of iron'. It has ferrous content ranging from 60 to 70%.It is massive, hard, compact and lumpy ore with reddish or ochre red in colour. Hematite is produced through beneficiation and fine grinding of our exclusive ore body. 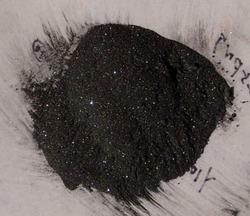 Hematite is used in Oil Drilling and Ferrites. We are remarkable enterprise, involved in offering superior quality Hematite Iron Ore.